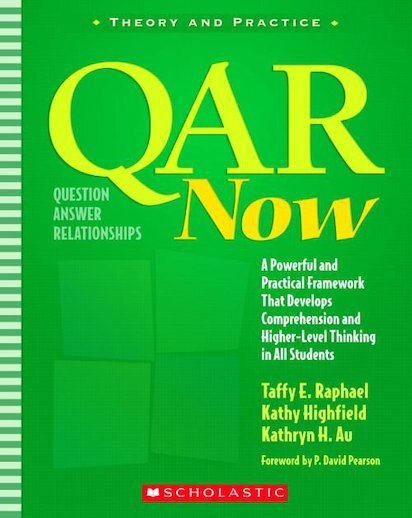 QAR, Question Answer Relationship, is a powerful, research-based approach for improving reading comprehension that has been helping students become better readers for more than 20 years. Now, QAR’s creator, Taffy Raphael and coauthors Kathy Au and Kathy Highfield, have written a comprehensive guide that reflects on two decades of classroom application and expands on the original thinking behind QAR. In this highly practical resource, they show how QAR provides a framework for organizing questioning activities and comprehension instruction, how it aligns with state standards and assessments, and how you can easily integrate it across all the content areas. With the unprecedented emphasis on reading comprehension, increased expectations for all students, and greater demands for teacher accountability, this in-depth resource is needed now more than ever. For use with Grades K-8.